An integral part of any healthy marriage is the ability to trust one’s spouse to hold him/her safe when in vulnerable positions. Unfortunately, spouses that engage in abuse often exploit these vulnerable situations to reinforce control over the victim. Understanding the implications of the abusive acts, and the appropriate way to respond, are some of the most difficult issues a victim must confront. 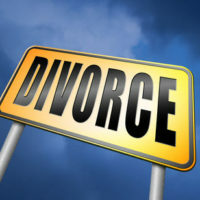 Divorce, for practical and financial reasons, may feel out of reach, and cause an abused spouse to delay taking action. Once divorce is initiated, many victims are understandably concerned about the amount of interaction he/she will have with the abuser, and if the abuse suffered will even matter to the outcome. 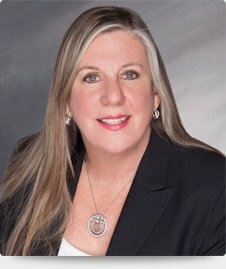 The current mayor of Palm Beach County alleged in her pending divorce case that her husband raped her on three different occasions while she was incapacitated from a combination of alcohol and pain medication. She delayed taking legal action, and the statute of limitations for criminal charges has expired, but she is factoring the assaults into her request for alimony. The state wants to ensure the safety of abused spouses, and does take this issue into account during the case itself, and when crafting the divorce settlement. A discussion of the procedural modifications a judge will use to shield an abused spouse during a divorce, and how past abuse can affect the final settlement, will follow below. Referral to mediation to settle unresolved issues in a divorce case, particularly if there are children involved, is a standard part of the procedure in family law court. However, Florida law says that courts cannot refer parties to mediation if past acts of violence would compromise the mediation process. Thus, abused spouses – and the abuse can be physical, emotional or psychological – need to inform the court at the outset of the case about their situation, and the fears they may have about interacting with an abuser. Convincing the court to bypass the mediation requirement will be easier if there is a standing domestic violence injunction that shows an established threat of safety exists, and depending on circumstances, it may be possible to attend court proceedings outside the presence of the abuser. If mediation is ordered, the abused spouse should inform the mediator about the possibility of harm so steps can be taken to protect his/her safety, such as keeping each party in separate rooms and having each party scheduled to arrive at different times, to minimize the possibility of an encounter. Property division, support and child custody are the biggest aspects of divorce, and each is impacted by spousal abuse. The division of property is made under the principle of equitable distribution, which says the court will divide property in line with what is most fair under the circumstances. Usually, the division is somewhat equal, but in the case of spousal abuse, a judge could give the abused spouse a greater share of the marital assets, especially if the abuser prevented the other spouse from working or advancing his/her career as a means of control. With alimony, assuming the other spouse has the ability to pay, the court could factor the abuse into its determination to award alimony, particularly if the abused spouse had to expend significant amounts of money to escape the situation. Finally, with any child custody determination, the best interests of child control, and if there is concern the child could witness or become involved in acts of violence, the court could require supervised visitation or the exchange of a child at a secure facility. It is unlikely the court would completely deny a parent all contact with a child unless there is compelling evidence the child’s safety and well-being are directly threatened. Divorce, without the complexities of spousal abuse, is a complicated process, and calls for the services of an experienced divorce attorney to protect your interests. Joyce A. Julian, P.A. is a Fort Lauderdale divorce firm that understands how overwhelming your situation is, and will use their experience to get you the best possible result. Contact the office for a free consultation.